In the past month I have been introduced to several excellent customizations of Google Analytics that can help better distinguish the traffic being pointed to your site. Before implementing these customizations on client websites and recommending them to others, I like to install them on my own site to make sure that they are working properly. This simple policy of testing before recommending is not only common sense; it’s also my responsibility as an analytics practitioner. Traditionally, this testing took hours, days or weeks to confirm whether it was installed properly because of a delay in the timing of when data was captured to when it was displayed in GA reports. 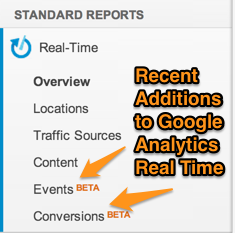 This changed significantly with the introduction of the Real Time Analytics in Google Analytics. Instead of waiting hours, days or weeks to review your data, you could simply look at the real time report to get a quick indication as to whether your customization was working or not. These reports have become even more useful recently as Google has worked to continuously add features to real time reporting. While these changes may seem subtle to some, they are a true “game changer” when it comes to testing Google Analytics Customizations. The rest of this article will describe how you can use Real Time Analytics to test your customizations with immediate feedback using these new features. I recently added a section to Jeffalytics that shows many of the common Google Analytics Customizations that can be done to enhance Google Analytics. As part of writing this content, I wanted to test each customization to make sure it worked as intended. Here are some of the steps that I followed during that process. 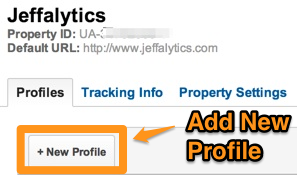 Please note that you should only apply a Google Analytics customization filters to a brand new profile in GA. Do not risk losing your data by applying filters to a profile that has been collecting data for many months/years. The first customization that I tested involved adding a filter to your Google Analytics profile to properly attribute Google and Bing image search results in GA. This filter was fairly straight forward, but as with any filter, I created a new profile to ensure it was working properly. 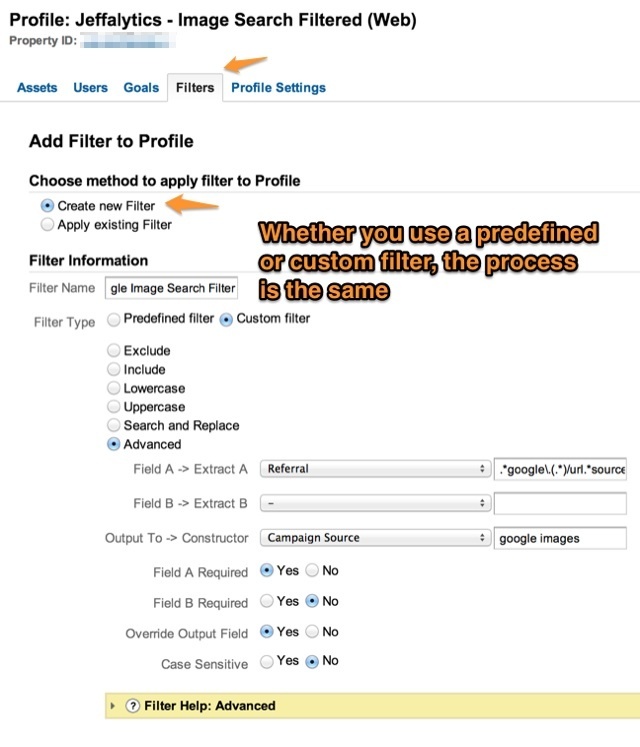 For my example, I am applying the filters recommended by AJ Kohn for tracking Google Image Search in GA. You may be using any number of different filters here. In most standard cases, you will be applying a predefined filter. Please do not copy any items you see in this screen shot to create your own filters. Use AJ’s post for that code. In order to make your new profile actionable and meaningful, make sure that any customizations from other profiles in your account are applied to this new profile as well. *This is very important, because if you don’t trigger your filter, you can’t test it. Since I am testing Image Search results, my first step is looking through my search query reports to find a search term that is obviously associated with an image. For Jeffalytics, this is easy because I happen to rank well for the term “Crying Dawson” (don’t ask) and I know it is associated with an image. Click through on the image to your website and then head on over to GA real time. * Depending on the nature of your filters, this may not always be possible. *Note: I actually had a difficult time testing this filter due to the nature of HTTPS searches with Google for most browsers. Other filters will be easier to test using this method as long as that data is normally accessible in GA. This is as simple as clicking on something that normally fires an event, such as video views, pdf downloads, etc. In the events report in real time analytics, you should see the event that you just triggered show up as a recent activity. This report shows all events for the past 30 minutes, so you should be able to see your event as the most recent thing that happened on the timeline. Much like tracking events in Real Time, tracking Goals in GA Real time is also quite easy to accomplish with 3 simple steps. In order to test your conversions in real time, make sure that there are goals configured. If your site does not get enough visits in order to have conversions happening within the 30 minute window allowed by real time analytics, you will likely need to perform the conversion action yourself in order to test conversion tracking. While this may skew your numbers slightly, it is a necessary element of goal testing. 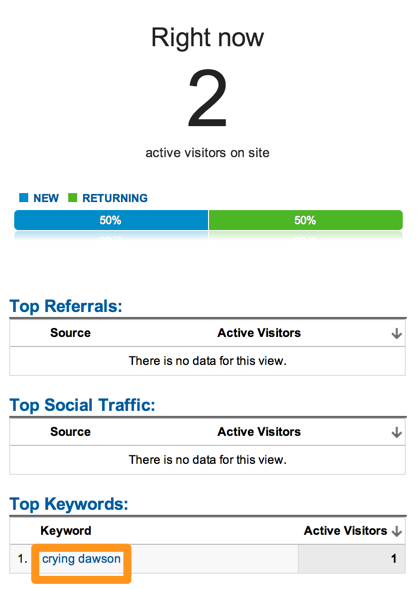 If you look at the real time conversions report, you should see your conversions rolling in on the report. If you don’t see anything right away, wait a few minutes to see if there is a delay. 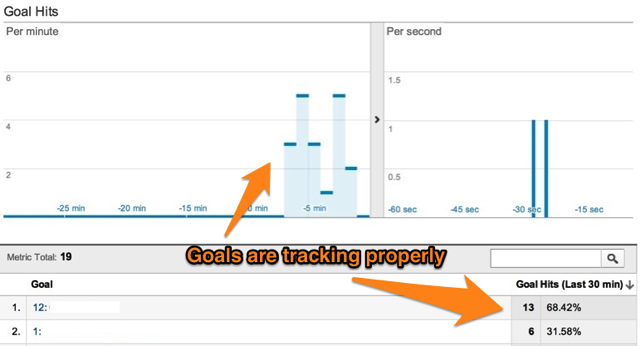 If you still don’t see any goals coming in, make sure that your profile is receiving any data in GA realtime. If you receive data in other real time reports, your goals are likely configured incorrectly. If you need to modify the GA page tracker to have a new URL name, you can use the content report within real time analytics to verify that the new tracker is showing your page. Simply visit the page you would like to test in a separate browser window and click on content under real time. With the latest additions to real time analytics, you should be able to completely test nearly every aspect of your GA installation in real time. This saves countless hours of waiting and checking on profile and allows you to make updates to your Google Analytics installation without fear of breaking things. Just be sure that you are testing your modifications on a new profile whenever possible.